High Force is one of the most picturesque waterfalls in the north of England, and the largest in terms of volume of water. 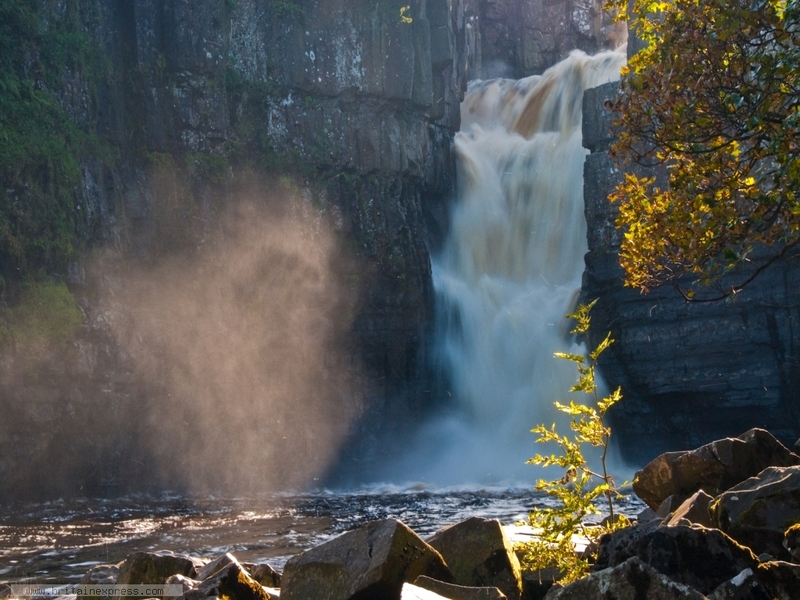 It is located on private land, west of Middleton-in-Teesdale. To reach the falls you have to pay an admission charge and follow a gravelled walk from the B6277 to the River Tees down below. Here, the water spills over a gap[ in the rocks and cascades into a pool far below, sending up spray and mist. To get this photo I scrambled onto the rocks below the falls and tried to capture the sunlight hitting the mist below the falls.